 Fair Harbor Headquarters found a new home in January 2017: The Brooklyn Fashion and Design Accelerator (BF + DA). Pratt Institute started an incubator space for designers with sustainable fashion initiatives. We are excited to be surrounded by so many young people who have the same goal as us: to create innovative products with the least impact on the Earth. With everything from upcycling clothing, to ethically sourced accessories, the BF+DA is a hub for adventurous and conscientious minds. Faye Lessler, receptionist at the BF+DA, is the first person who greets you when you walk into the space in Williamsburg. For an inside sneak peak on the BF+DA, check out our full interview with Faye below! When did you start working at the BF+DA? What exactly does your job entail? What are your favorite parts? As Receptionist my job at the BF+DA was pretty much to be the face of our space. I interacted with our internal community as much as I did with our greater public audience. Keeping the community up to date on the goings-on at the BF+DA and making sure that everyone was on the same page was the most important piece of being the Receptionist. Now, as Program Coordinator, I am even more responsible for the public community of the BF+DA and I am excited to be able to bring in even more people to our space and get them as involved and excited about what we’re doing as the internal community already is. My favorite part about both positions is that I get to be in a hotbed of entrepreneurship and creativity every day, eating lunch with and just getting daily updates from the Venture Fellows is so exciting and inspiring! How did you initially get involved with the BF+DA? When I first moved to New York in 2015 I was eager to connect with people in the sustainable fashion industry and endeavored to go to as many events as possible to meet the right people. The BF+DA was in it’s first year in operation at that time and hosting a lot of incredible events! I was able to be here for some inspiring conversations and excellent networking. The crowd that the BF+DA attracts is so engaged, passionate, and driven to change the world of fashion and business and that was what really drew me in. What aspects of the BF+DA do you connect with most? The community aspect, for sure! The fact that we foster such an incredible community of like-minded, supportive people is really special and unique, especially in the fashion industry in New York City. How do you practice a clean, sustainable lifestyle? I try to live a clean, sustainable lifestyle in every area of my life! My philosophy is that if I can feasibly do better within my daily life, I will. I eat a mostly vegan, local diet to cut down on carbon emissions from my food and support small farmers and food producers by subscribing to a CSA and always choosing local where possible. I try to cut down on plastic and non-biodegradable or recyclable waste wherever possible, and do my best to be as minimal and conscious about my consumption in general. I support sustainable design and responsible companies because I believe in reaching for the ideal. I am as politically active as I can emotionally handle and I try my best to be engaged because sustainability is about so much more than conscious consumption, it is about advocating for better systems and justice in all areas of life. What activities do you do outside of the office? I work on my blog, Sustaining Life, and host events for the Ethical Writers Coalition! In my free time you’ll find me cooking and experimenting in the kitchen or relaxing to the max with good friends, ideally in nature. A little bit. It’s not my favorite neighborhood in New York but it’s got its gems! What are some of your favorite Brooklyn spots? Do you like to cook? What are some of your favorite meals to make? I love to cook! It’s such a fun, creative, stress reliever and an awesome way to bring people and conversations together. I have an everchanging list of favorite recipes, some of which you can find here. My favorite BBQ spread involves some homemade vegan pizzas with seasonal veggies and a big pile of grilled seasonal veggies on the side! I’d invite my favorite friends to enjoy alongside me. If you had an unlimited budget for a weekend adventure, what would you do and where would you go? I would go on a fancy sustainable adventure that’s not too far away! A decked-out cozy cabin high up in the mountains, complete with an all-natural spa sounds pretty sweet.